NetLogo is a programmable modeling environment for simulating natural and social phenomena. It lets students open simulations and "play" with them, exploring their behavior under various conditions. 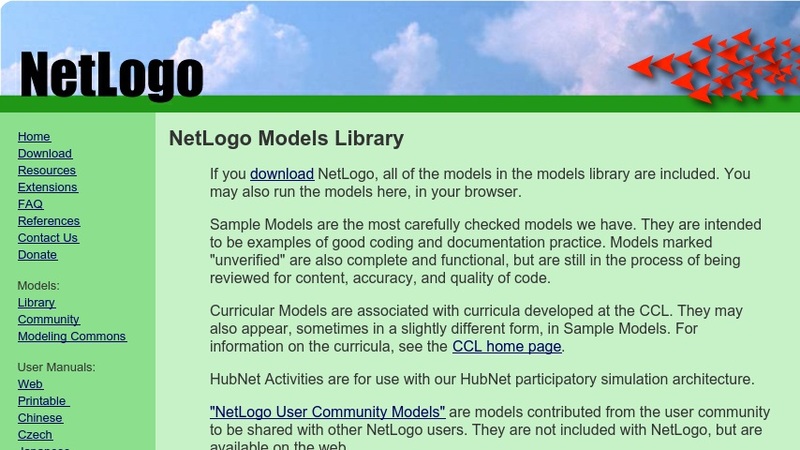 This page includes a library of NetLogo models, ranging from art to mathematics and different areas of science.